So, how to define new behaviors or make changes that are easier for user to accept? There can be two approaches. First way is to get user feedback on your existing product, what they like from it, what they don’t like, what they want more and what are their expectations. This will help you to think about future updates that you should make in your product. 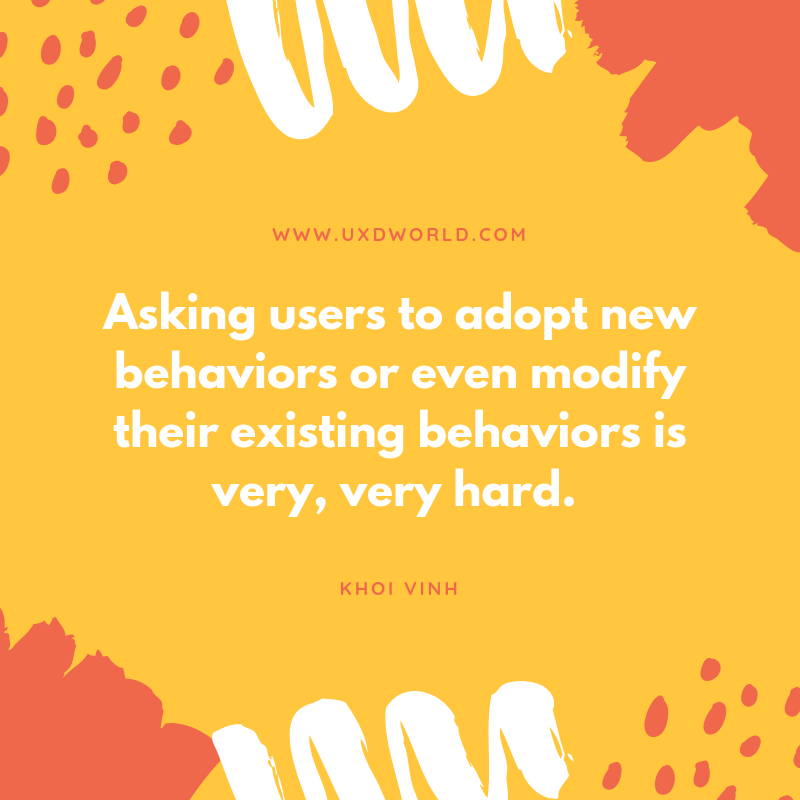 It means keeping user’s needs and expectations in front will help you better design your product. If you are building a product that is based on ‘what the world was waiting for’, then it would be something that user is already expecting. Second option is to build something that changes the user thinking. Yes, but still very exciting. You can try some innovative ideas that user is not expecting, but when he uses it, he gets a pleasant experience. This approach requires a lot of experimentation because it is not possible that you build something new and people start thinking in the same way. You need to make things visible and transparent so that user can easily adopt them. There are many successful product examples that go towards innovation and people feel much excited while using their new features. Twitter and Instagram are two famous names that are continuously attracting their users with new appealing features. They are adding more fun for user when they are performing simple actions on apps. Adopting Innovation in UX was originally published in UX Planet on Medium, where people are continuing the conversation by highlighting and responding to this story.